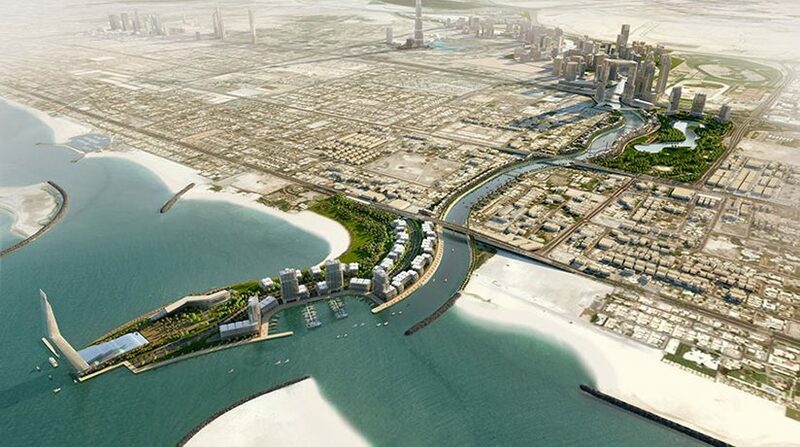 With its opening only a few months away, the Dubai Water Canal is certainly becoming a hotspot for investors looking to get their hands on prime real estate. Spaces along the upcoming icon of Dubai are being acquired at a rapid pace by individual investors and mega developers, making the locality’s worth rise in a short span of time. Earlier in the year, Damac Properties announced buying a large plot of land along the Dubai Water Canal for its new project, Aykon City. And this time, Sobha Group has announced a new offering along the canal. Dubai-based real estate developer Sobha has released a new collection of freehold apartments in Sobha Hartland Greens, located on the Dubai Water Canal. The units will be part of a housing project spanning over 700,000 sqm built with resort-style luxury living in mind. The developer said the project, which will have both cityside and waterside housing options, will have 30% area dedicated to green space. The freehold units will be situated within luxury-laced eight storey buildings and Sobha has already chalked out payment plans for both end-users and investors for these attractively priced apartments. The first two buildings housing these apartments is expected to be complete by the end of 2017. The Hartland Greens will be defined by eight floors of residential apartments with unit sizes ranging from studios, duplexes, to one-, two-, and three-bedrooms. Menon said the apartments had been designed keeping in mind each type of lifestyle, investment, preference and purpose, “as there are both multiple options of layouts and sizes”. “The quality that we are so proud of is there for everyone to see in Sobha Hartland. Anyone has to just come and see our two show villas and apartment for themselves. Moreover, our project is strategically located in the heart of Dubai and has access to world-class amenities a resident needs,” he added. The developer has said residents of Sobha Hartland will have access to myriad amenities like two international schools, nurseries, malls, cafes, tennis courts, yoga centre, swimming pool, clubhouses and spas, mosques, and healthcare facilities.